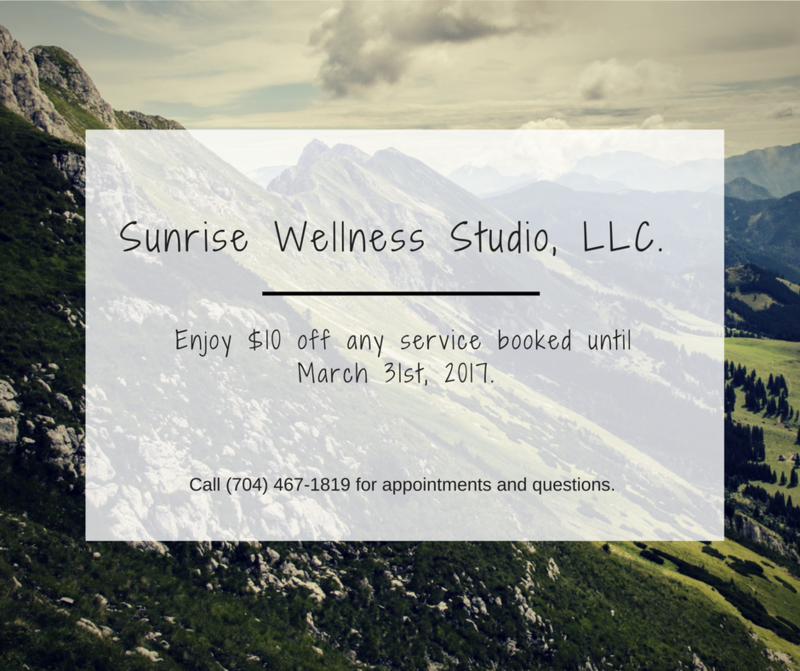 Welcome to Sunrise Wellness Studio, LLC. Where personal wellness is our passion and where you, our guest, are our priority. Feeling stressed or tired? Want to re-charge your energy while rejuvinating your mind and body? Come and "awaken your well-being" with us...schedule an appointment today! Like us on Facebook to keep up with EVERYTHING Sunrise Wellness Studio, LLC! © Copyright 2019 Sunrise Wellness Studio, LLC. . All rights reserved.